Michael Rapaport attends 2016 Roc Nation Summer Classic Charity Basketball Tournament at Barclays Center of Brooklyn on July 21, 2016, in New York City. At first you go, “Is this for real? Like, ‘for real’ real? Maybe this is a troll account?” But yeah, there’s the good ole blue check mark, meaning that this really is Michael Rapaport’s account. So you head over to Rapaport’s Twitter page, and he’s over there defending his tweet, telling black people that “they ain’t done jack [s—t]” when it comes to protesting, so basically, they should shut up when it comes to telling NFL players to emulate San Francisco 49ers quarterback Colin Kaepernick’s kneel-down protest. And as I scroll down, I see that Rapaport is calling black folks “hoes” and generally coming at them from the left. I try to ignore that, and see if I can get to his main point, and it is this: Rapaport says that he’s down with NFL players protesting systemic racism; it’s just that they shouldn’t do it on Sept. 11 because that’s a day to honor the heroic first responders, police and firefighters who died during the terrorist attacks. And that’s when I come to the natural conclusion that Rapaport is indeed on some other s—t. First, a little background. Who is Michael Rapaport, you ask? He’s that white actor every black person knows. Been in a bunch of movies and television shows over the past 20 years, but on the black folks’ Netflix Search List, most of us know him from the movies like Zebrahead or when he was playing Dunwitty in Spike Lee’s Bamboozled. He and Lee have had their own issues over race and gentrification over the years, but that’s another column. But besides the acting, he’s also known for his love of hip-hop, having produced the Tribe doc from a few years back, and his conspicuous hip-hop mannerism that, some have argued, appropriates blackness. Anyway, after I read Rapaport’s tweet, I shoot him one back. In a 140-character nutshell, we go back and forth, explaining that black people don’t get days off from oppression and systemic racism. He responds, directing me to his I Am Rapaport podcast, in which he says that he’s both joking about the fantasy football and the “Aiello’ed” references in his tweet, but not joking when he says that no one should protest. His reasoning is that he thinks the day should be set aside to honor the “heroic first responders” who were killed on 9/11. The blowback was immediate. Black people attacked Rapaport for being a culture vulture, a white man who takes from black culture but, when needed, is not there. Rapaport goes after his critics hard. His comeback is to tell them that “they haven’t done [s—t],” while reciting his own résumé of what he’s done for the hip-hop community (while pointing to his previous podcast in which he’d talked about his support of NFL players protesting; he’d even taken a picture in a Brandon Marshall T-shirt as a sign of support). But he wanted NFL players, just for this day, to do him a solid and keep their protests to themselves on this day. It is then when I realize … an intervention is needed. One of the biggest lies that hip-hop ever created—and it was a grand lie—was that the racial fault lines created by this thing called America could be bridged and blurred all because of a love of and devotion to the hip-hop culture. And while hip-hop has done many great things, this lie did give some white people the notion that if they were deeply immersed in hip-hop culture; if they spoke like the black people in the culture; if they had the correct “proximity validation” of the culture you or I grew up in (fill in the best real hip-hop culture city, borough, etc., that works); and if they could spit lyrics and history with the best, then they had an approximately accurate understanding of blackness that, in a curious way, would allow their white-privilege musings to be accepted as just being “real talk” to black people. Hip-hop was the outward clothing that covered up the skin color, and as long as everyone was wearing that shell, they could spout whatever they wanted under the unifying umbrella. 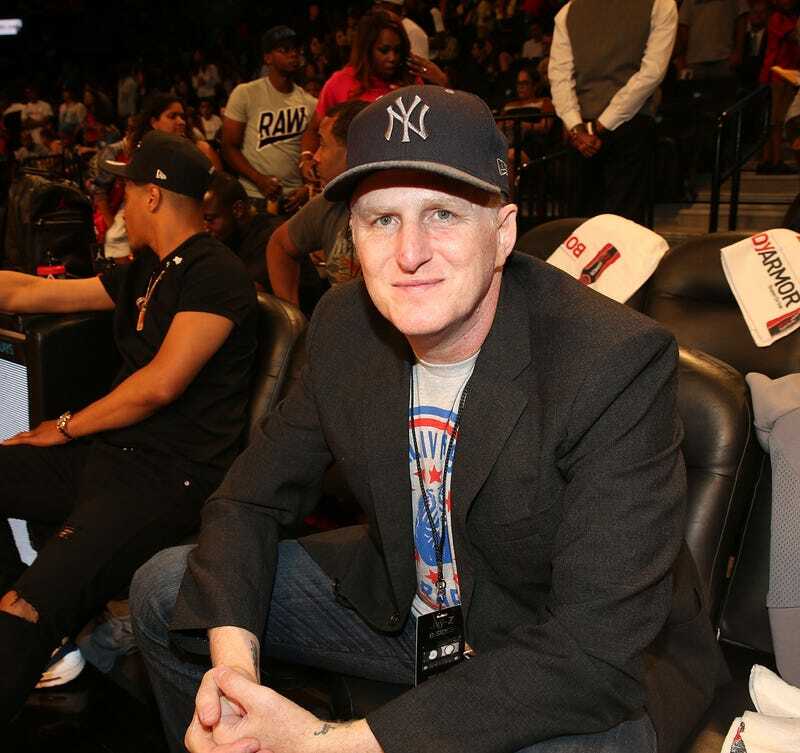 Rapaport carries himself in a way that says, “I’m down with black folks through my love of hip-hop culture … ” So black folks, of course, sit there waiting. How down will he be? And when will he remember that his race card is white, and when will he pull it for value-added privileges? Unfortunately for Rapaport, that card was pulled for Sept. 11, and for that, black folks called him out, as they should. In essence, Rapaport missed a crucial thing about the black experience: As a white person, you don’t get to tell black people anything. Nothing. Nada. We don’t need your permission. As black people, we live in this skin 365-24-7, and when we’re born, America looks at each of us as a devalued and dehumanized n—ger, who is to be subjected to a country married to white supremacy, and whose policies of systemic racism are designed to ultimately kill us. Point blank. Everything we do from the first moments after we’re born is designed to fight against that oppression. Every book we read. Every job we get. Every family we raise. Every college degree we earn. Everything we do is a living protest against an America that sees black bodies killed by police and goes, “But … ” as a justification for our murder. So you don’t get to tell us that we need to take a day off because you feel that your cause deserves more significance. And the ad hominem attacks on Rapaport for being a “culture vulture”—a white person who loves black culture and who takes it to his or her heart, and yet ain’t there for the black community when needed (or, as the African-American proverb says, “Everyone loves being black until it’s time to be black”)—appear to be harsh, but blackness is a thing that white people have appropriated since we first walked onto these American shores in 1619. Listing your hip-hop résumé and your hip-hop authenticity while screaming, “I’ve done more for this culture on Tuesday than most of you have done in your life … ” misses the point. Blackness doesn’t come with a résumé, and none is needed. Our black culture is our inheritance, and if, as an outsider, you enjoy, contribute and devote yourself to it, we thank you. But it remains our inheritance. Why? Because it is filled with the pain of the black experience in this country: “Don’t push me ’cause I’m close to the edge. I’m trying not to lose my head … ” And that pain is not transferable. So we protest. In fact, black people should, and always should, protest on Sept. 11. We should protest especially on Sept. 11. Not because we’re dishonoring the nearly 3,000 people who died based on a hateful ideology of terrorism, many of whom were black, but because we need to let America know that terrorism can come from within, just as it comes from without. One of the great speeches about protest came from a University of California, Berkeley student in the 1960s, Mario Savio, who said in part that “you must put your bodies on the gears of the machine,” and in this case, the machine is America. It’s not good enough to be an ally on Sept. 10, when it’s safe. It’s not good enough to be an ally on Sept. 12, when it’s safe. If you’re really an ally, you’ll be right next to us on Sept. 11, when the vitriol, the racial slurs and the spit flies into your face. Being a true ally means digging in when the s—t gets real, and protesting on Sept. 11 is as real as it gets. And that’s what Rapaport didn’t understand. But John Brown understood that. Joan Mulholland understands that. Andrew Goodman understood that. Michael Schwerner understood that. When you tell black folks that they need to not protest on Sept. 11, you’ve just made the declaration that black people, and their lives, are disposable. And it’s a con. Because if you can get me to be quiet about oppression on your special day, then you will be able to shut me up on the other 364 days of the year. I will have compromised myself to the point of marginalizing my fight against oppression. Lawrence Ross is the author of the Los Angeles Times best-seller The Divine Nine: The History of African American Fraternities and Sororities. His newest book, Blackballed: The Black and White Politics of Race on America’s Campuses, is a blunt and frank look at the historical and contemporary issue of campus racism on predominantly white college campuses. Follow him on Twitter and Instagram.